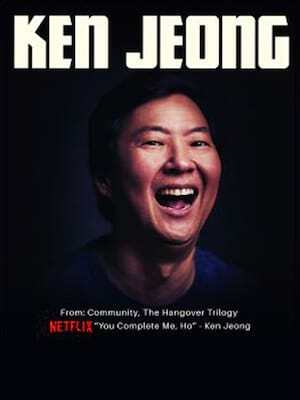 There's not too many comics that also have an MD to their name, but Ken Jeong is not your average comic. Born to South Korean immigrants, Ken was practising medicine while honing his stand-up act through much of the 90s and 00s. His breakout role in Judd Apatow's Knocked Up finally had movie producers, well, knocking at his door, and scene-stealing turns in The Hangover and Pineapple Express, and a recurring role on NBC's Community soon followed. In his stand-up, Ken looks back at his unusual path to fame, and dishes on some of his Hollywood co-stars. He has a Netflix special coming in 2019, so grab your chance to see him performing his new material before everyone else does! Seen Ken Jeong? Loved it? Hated it? Sound good to you? 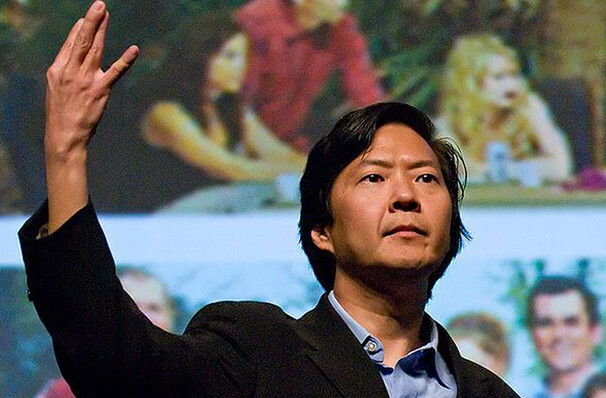 Share this page on social media and let your friends know about Ken Jeong at Mystic Lake Showroom. Please note: The term Mystic Lake Showroom and/or Ken Jeong as well as all associated graphics, logos, and/or other trademarks, tradenames or copyrights are the property of the Mystic Lake Showroom and/or Ken Jeong and are used herein for factual descriptive purposes only. We are in no way associated with or authorized by the Mystic Lake Showroom and/or Ken Jeong and neither that entity nor any of its affiliates have licensed or endorsed us to sell tickets, goods and or services in conjunction with their events.